Preserving and ideally increasing the value of owner properties is one of the chief roles of a property management company. Tenant requests should be addressed promptly and owners provided with transparent system for seeing how their money is being spent. A competent manager accomplishes all of this with the assistance of both internal staff and their network of qualified, licensed vendors whom they have vetted for excellent cost effective service. Note: Property maintenance and repair fees are covered in Property Management Fees - Part II. How does the property manager track incoming resident maintenance requests and the subsequent work orders? A software solution should be in place here. You want to find a manager with a system that does not allow maintenance requests to fall through the cracks and require multiple tenant requests before the work is done. Ideally, tenants should be able to submit maintenance requests online. How are after hours maintenance requests and emergencies handled and who handles them? Make sure its someone qualified to handle the problem. The last thing you want is an answering machine or someone saying you will have to wait till Monday to get your or your tenants issue resolved. What system do they have in place to practice preventative maintenance? Preventative maintenance is the mechanism a manager uses to maintain the value of your property and avoid letting small issues become larger more expensive problems down the road. This involves things like a predefined maintenance and inspection schedule as well as promptly addressing known issues. This of course assumes owners are willing to make the necessary repairs when they come up. Slum lords may balk, but successful real estate investors know that when you’re in for the long haul you have to engage in sustainable practices that maximize property values, not short-term practices that delay (and multiply) costs. Do they have their own maintenance crew? If the answer is yes, are they covered by workers compensation and are they licensed, bonded and insured? Additionally are they available 24/7/365 for emergencies? Do the contractors carry workers compensation and are they licensed, bonded and insured? Does the management company oversee the contractors’ work for quality, code compliance and cost effectiveness? Some owners like to take the extra step of researching the primary vendors that will be used to make sure there are no red flags. Do they have any conflicts of interest with their vendors? Beware of relationships that are based on something other than good work and the best price. Vendors reward management companies for their business, but this should be in the form of discounted rates, which benefit the owner, rather than "referral bonuses" that go to the management firm. If this is the case make sure you get full disclosure on the nature of any pre-existing relationships where this applies and will be notified when this comes up again in the future with new vendors. One possible exception to this rule would be when the management company receives a small fee from vendors for guaranteed payment, meaning the vendors gets paid by the management company regardless of whether the owner whose property is being worked on has sufficient funds in their account. What rules do they have in place regarding contractors entering occupied properties? Make sure they have an established policy here. Anytime contractors and maintenance personnel are entering occupied units there is potential for trouble if the situation is not handled carefully. Do they provide itemized statements with receipts for the work performed? This adds accountability and transparency to the billing process. You don't want to work with a management company that is unwilling to provide solid documentation of where your money is going. Do they let tenants perform repairs? Tenants perform inferior quality work, and their lack of insurance coverage, liability or workers compensation could leave you liable in the event of an accident or injury. Why take the risk of having them accidentally fall off a roof or ladder, electrocute themselves, or flood your home? If they don’t allow tenant repairs, make sure this is written into the rental agreement. If you are comfortable allowing them, at least have the tenant sign a waiver and agree that the repairs must be approved by the manager. Do they allow tenants to hire their own handyman? This is also inviting trouble, and the rental agreement should prohibit this. 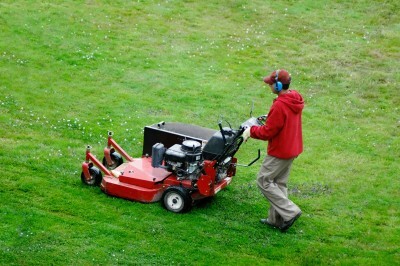 What recurring maintenance tasks (lawn mowing, etc.) do they expect the tenant to perform? This is not considered a liability hazard although providing these services eliminates the issue of tenant neglect and can improve tenant satisfaction which helps with retention. What is involved in their process for preparing a property to be re-rented after a tenant has vacated? How long does this process take? The property should get the usual cleaning, paint job, re-keying, etc. but this is also a good time to consider strategic improvements that will maximize your rental revenue. You want to find a property manager that will proactively offer this kind of feedback on an as needed basis. Obviously the quicker the turnaround time, the better. The best crew in the world can't fix what they can't see. Regular inspections are a critical component of preventative maintenance.